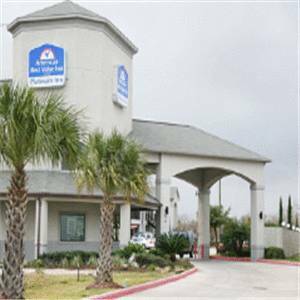 The Americas Best Value Inn - Platinum is located in the Greenspoint area of Houston/ Texas. Conveniently positioned off I-45 for easy on and off highway access/ this superb property offers our guests with a central location and Texas style comfort at an exceptional value pricing. Our 35 uniquely spacious 15ft x 30ft guest rooms feature Refrigerators/ Microwaves/ CD/DVD players/ Cable/Satellite/ FREE wired and wireless high speed Internet access/ vaulted ceilings/ and 32 inch LCD televisions that will make your stay an enjoyable experience. Our themed whirlpool suites Amazon/ Serengeti/ Kam are one of a kind/ you have to experience to appreciate. We also offer our guests a Complimentary Continental Breakfast. The ABVI PLATINUM is only 11 minutes from George Bush Intercontinental Airport and all the area attractions of greater Houston. We await your arrival and look forward to share our unequalled hospitality with you.